We’d love your help. 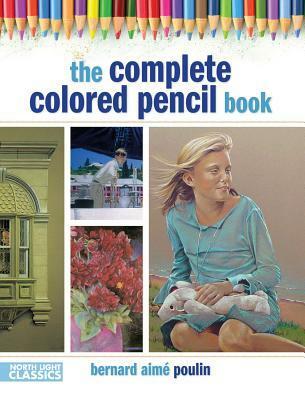 Let us know what’s wrong with this preview of The Complete Colored Pencil Book by Bernard Poulin. 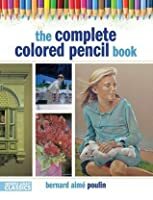 "The Complete Colored Pencil Book" is a comprehensive technique guide that offers a full spectrum of colored pencil instruction. Readers of all skill levels will enjoy helpful tips on improving their drawing skills and creating dozens of lifelike textures. It features more than ten demonstrations that focus on the results that specific tools can bring to your work. 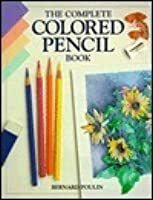 To ask other readers questions about The Complete Colored Pencil Book, please sign up. Ok book about colored pencil techniques.I found the demonstration sections more interesting in the basic technique sections near the beginning, but I merely skimmed the last few chapters, which covered advanced tips and tricks with extra focus on portraiture (the author's specialty and not a particular interest of mine). This does not interest me. I DID like the dwg of spools of colored ribbons like you would find in a fabric store on p.75. I might want to draw that subject.